Tom Sharkey headed to Kutztown University after a memorable season quarterbacking Wayne Hills to a state title and Bowl Game win | Mike Lamberti, From Margate To Cleveland, And Back ! Tom Sharkey had just won his first game as a Wayne Hills quarterback, on Sept. 7, 2018, as the Patriots rallied past Wayne Valley, 14-3, in a hard-fought game. 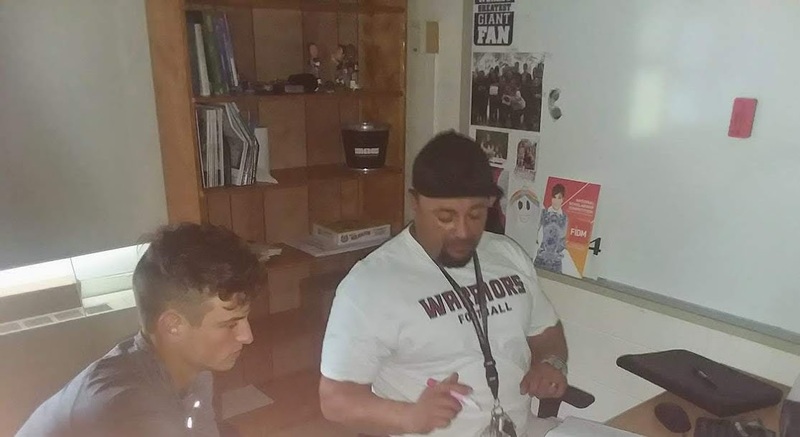 Twelve hours later, Sharkey and offensive coordinator John Jacob were sitting in a classroom, going over good points, and mistakes, of the senior’s first varsity home game at Wayne Hills. 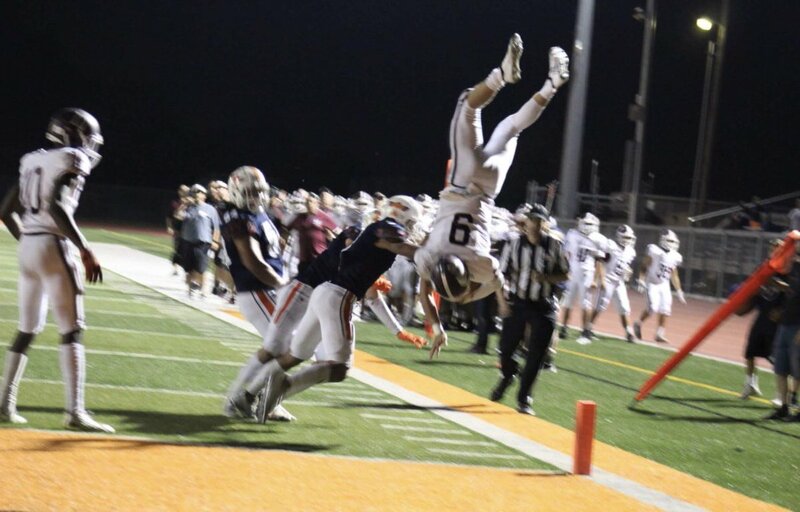 Sharkey, the son of Debbie and Tom Sharkey, Sr., had transferred to Wayne Hills late in his junior year and would go on to a marvelous senior campaign. He threw for 2,413 yards and 33 touchdown passes, as well as a 125.6 quarterback rating, as the Patriots went on to a tenth state sectional championship and eventual Bowl game victory, at MetLife Stadium, and an 11-2 record. In his final high school game at MetLife, Sharkey completed 14 of 21 passes for 207 yards and three touchdowns. Sharkey’s 2,413 yards passing last fall eclipsed Brendan DeVera’s team-record 2,221 yards, which was set in 2016. 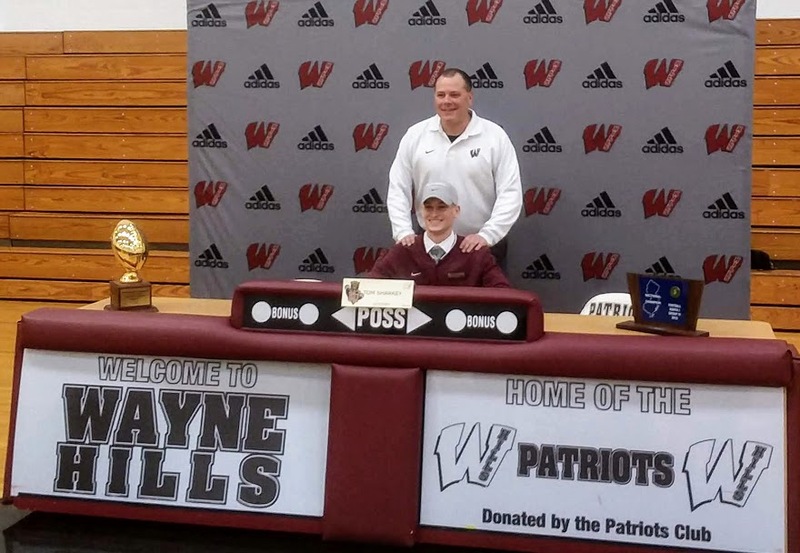 The 6’1″, 185-pound Sharkey, also a top student, announced his college choice on Feb. 1 and signed his letter of intent at Wayne Hills on the morning of Feb. 6. Located in Kutztown, Pa., Kutztown University is an NCAA Division 2 school. In 2018, the Golden Bears finished 9-2 and qualified for the NCAA tournament. 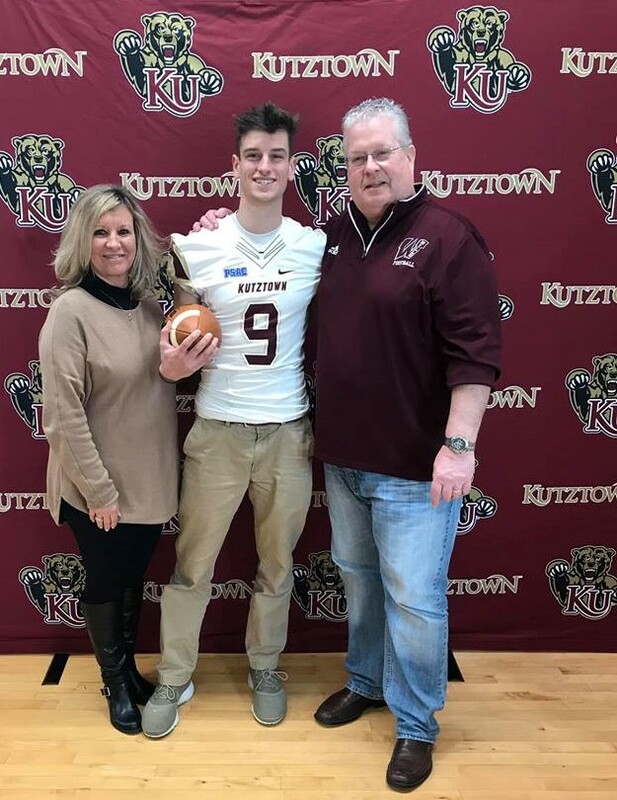 Jacob, Hills’ offensive coordinator, feels Kutztown is an excellent choice for Sharkey. Sharkey appreciated his work with the Wayne Hills coaching staff. “A quarterback and coordinator have to work well together, and I can’t thank Coach Jakes enough,” said Sharkey. “He taught me so much, in one year. And that goes for the entire staff at Hills. I transferred here as a junior and had (head coach Wayne) Dem (Demikoff) as a teacher when I got here. And then I had the chance to play for him and I am so grateful. I wish I had more than one year with them, but I’m so glad it turned out the way it did. Being a part of a state championship team and then winning that bowl game at MetLife was unbelievable. Sharkey noted how quickly he was taken in by the players at Hills. Tom’s close family bond is also special. With the college decision completed, Sharkey can enjoy the remainder of high school.